Beyonce Gives Birth to Twins!!!!!!!!! by Hilton Hater at June 18, 2017 4:57 am . Updated at June 18, 2017 1:34 pm . Oh, joyous day, celebrity gossip followers. Following days of speculation and months of excitement, Beyonce has finally given birth to her twins. According to multiple outlets, the singer and famous husband Jay Z are now the proud parents of a new little boy and girl. 411 Showbiz was the first to report the news and is saying the couple welcomed the new additions to their family early last week. The children were both either Monday or Tuesday, the celebrity gossip source reports, which could explain another notable circumstance. 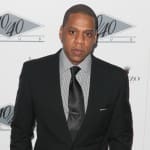 That's allegedly the reason why Jay Z was a no-show for the Songwriters Hall of Fame induction in New York on Thursday night. There is no word on the baby names as of yet, but we'll keep you up to speed on all of the developments. The legendary artist announced on February 1 that she was expecting child number-two and child number-three, sharing an artistic Instagram photo at the time along with a simple caption. We would like to share our love and happiness, it reads at the time. We have been blessed two times over. We are incredibly grateful that our family will be growing by two, and we thank you for your well wishes. - The Carters. 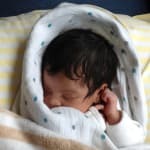 The beloved couple is already parents to a five-year old girl named Blue Ivy. Aside from this initial statement, Beyonce and Jay Z kept relatively mum about the pregnancy since alerting the world. Despite saying very little about the topic, however, the artist satisfied the incessant buzzing of her Beyhive by often flaunting her baby bump online. Beyonce: See All Her Glorious Pregnancy Photos! She posed at various times for professional pregnancy photo shoots, while also kept her official websites updates with images. The ones included in the above gallery iffer some of the best and most personal documentation of the pregnancy experience. Beyonce even performed a nine-minute set at the Grammy Awards just two weeks after announcing her expecting state because... of course she did. In the days leading up to the star giving birth, the rumor mill churned at a nearly record rate with chatter that the blessed event either had occurred or was about to occur. After sister Solange Knowles canceled a concert in late May and mother Tina Knowles was spotted at Cedars Sinai Hospital, people started to wonder. Is it any wonder that a handful of conspiracy-loving Internet users wondered if the twins had already been born? This just gives you an idea of the level of excitement that's been surrounding Beyonce's womb for weeks on end now. We don't imagine the fervor and fan interest will subside anytime soon, either. Just a hunch we're getting for some reason. Everyone here at The Hollywood Gossip would like to extend our congratulations to the family during this joyous time! I don't wanna be a hot girl - I wanna be iconic. Permalink: I don't wanna be a hot girl - I wanna be iconic. There are responsibilities that come along with this life ... trying to have a romantic meal without someone sneaking in to film the whole thing.